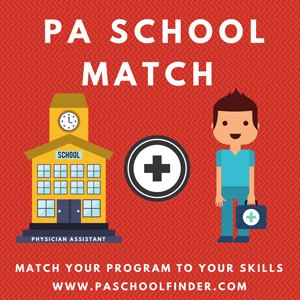 This program was developed in 2005 by surgical physician assistants in multiple subspecialties to train PA’s in surgery to have a well-rounded background in general and specialty areas of surgery. The program is run by physician assistants and attending physicians at Bassett Medical Center including a regional network of four affiliate hospitals and 28 community health centers serving an eight-county region in central New York. PA’s spend most of their time in Cooperstown, N.Y. at The Mary Imogene Bassett hospital, a 180-bed acute care, and inpatient teaching facility. Bassett has physician residencies in General Surgery, Primary Care, Internal Medicine and Transitional Year. Currently, over 20 physician assistants practice within the Department of Surgery, including all of the subspecialties. The post graduate training program is 12-months in duration, with didactic and clinical portions ongoing throughout the year. PA’s will participate in grand rounds, surgical case presentation, surgical subspecialty conference, surgeon-in-chief rounds, Morbidity and Mortality conference, Trauma conference and complete selected readings and/or attend conferences specific to each subspecialty rotation. The PA will be encouraged to be a self-motivated, lifelong learner. PA’s rotate through General Surgery, ICU/Cardiac Surgery, Orthopaedic Surgery, Plastic Surgery, Neurosurgery, Urology, Gynecology, Otolaryngology, and Rural Surgery. They will have the opportunity to select 1 or 2 electives to complete during the last 8 weeks of the program. PA’s should plan to work 50-hours a week, plus 1 night of call every other week. They will have 3 weeks vacation. Cooperstown is the home of the beautiful Otsego Lake and Glimmerglass State Park and the National Baseball Hall of Fame. The surrounding countryside offers unlimited opportunity for biking, hiking and backpacking, picnics, boating, fishing, swimming, golf and much more. The community’s Clark Sports Center has state-of-the-art recreational and fitness facilities. One PA is selected each year. Our goal is to accept individuals with specific surgical career goals. Contingent on NYS license and board certification. Applicants must be graduates of an ARC-PA approved program, NCCPA board certified, eligible for NYS license or current license. Completed application to include 3 reference forms, CV, personal statement, official transcripts from college and PA school, copies of BLS and ACLS or other certification. A personal interview is required. PA’s are eligible to join Beneflex, Bassett’s flexible benefits plan for medical, dental, life, accidental death/dismemberment, long-term disability, pharmacy, eye care and HSA spending. Assistance available in finding local housing.